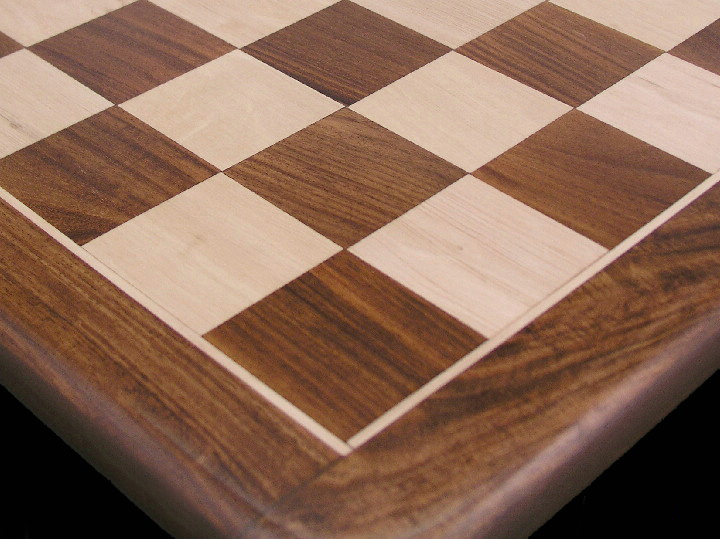 This product from Chess Baron: A two inch squares version of this excellent distinctive chess board in genuine and solid sheesham wood - not veneer, this is solid sheesham! 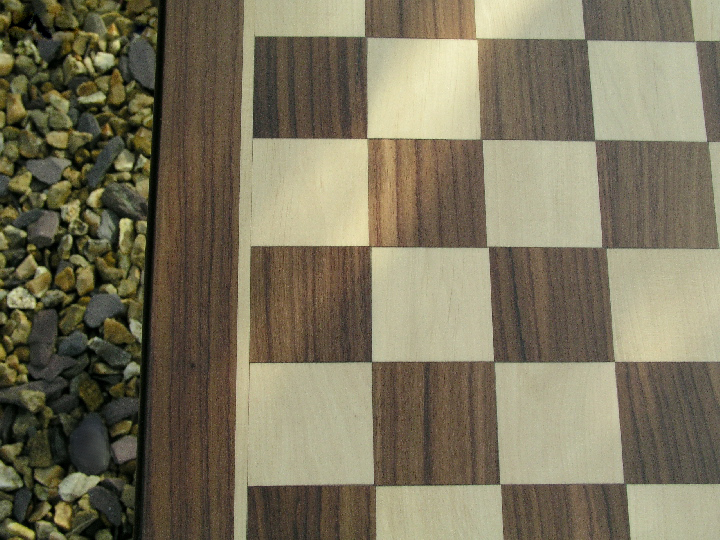 Very good quality thick and heavy chess board with superb rounded corners and edges. 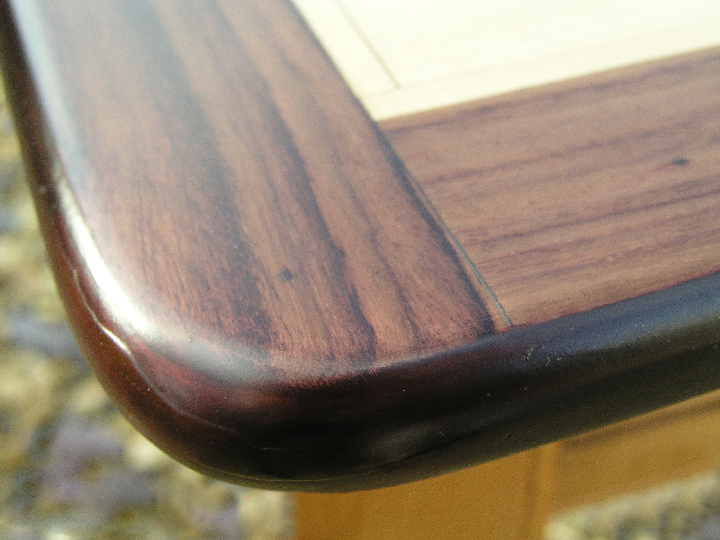 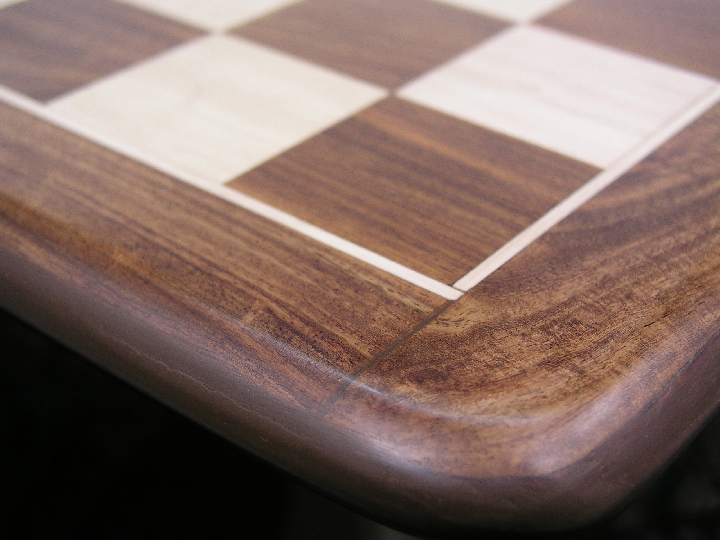 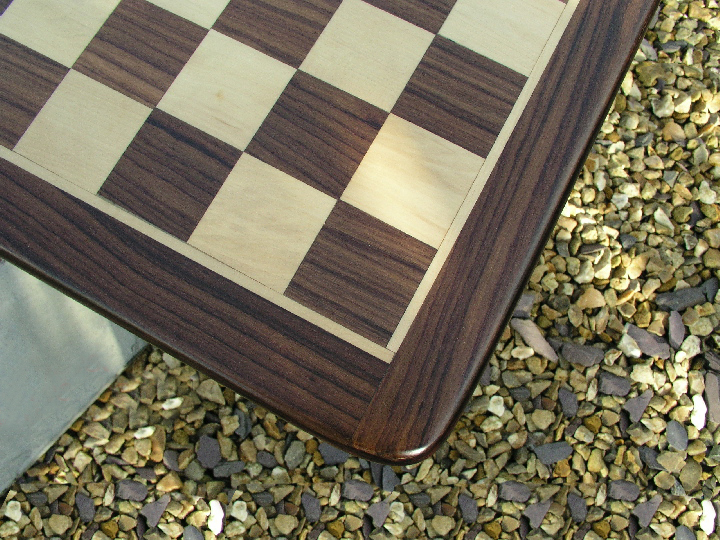 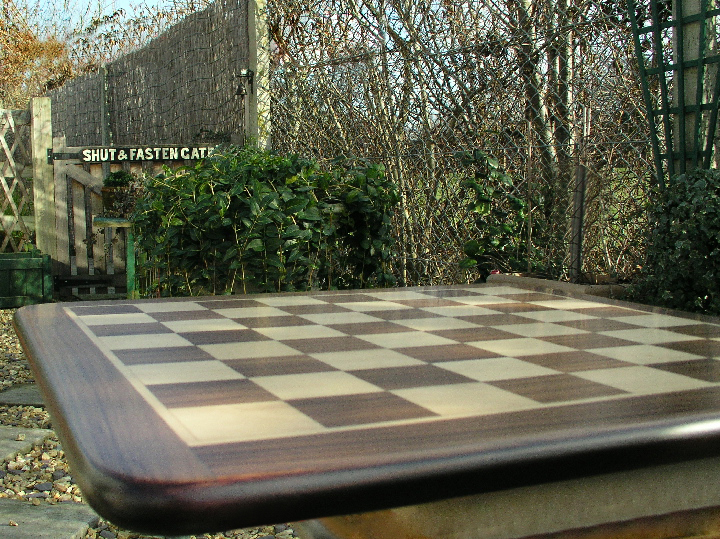 A traditional look and feel for this excellent quality chess board. 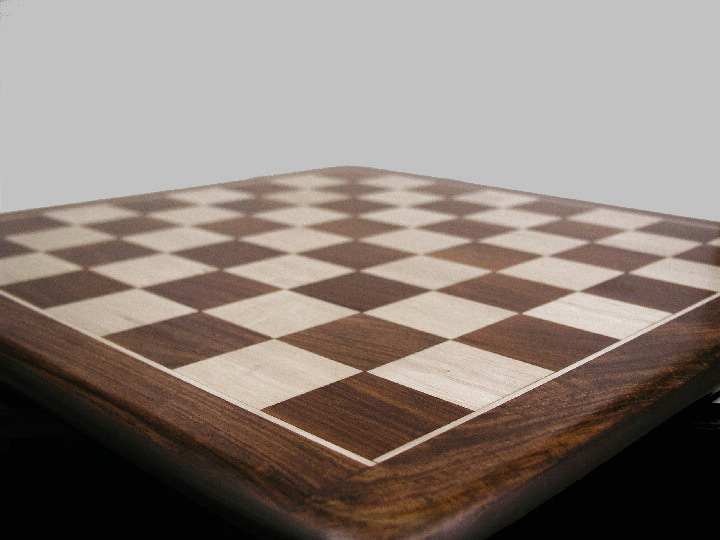 Any ChessBaron set would be favoured by this board, but it is also very suitable for mid priced sets. 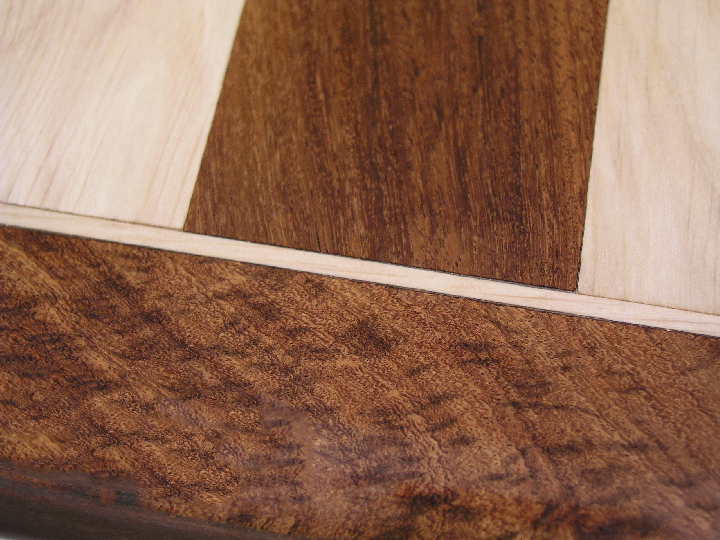 Squares are 2 inches.